How can communities work to create safer spaces for all? Communities can create norms that govern how they operate and how people are supposed to behave. These norms can be healthy (supporting survivors and combatting oppression) or unhealthy (silence and shame around sexual violence). As a community member, you can play a role in creating safety and encouraging respectful norms. The best leaders are full-time learners. We can educate ourselves about how sexual violence intersects with all areas of our life. NJCASA’s fact sheet on sexual violence is a good starting place to get some quick facts and the National Sexual Violence Resource Center (NSVRC) has an infographic covering sexual violence nationwide. We also have a section of our blog dedicated to prevention within specific communities. 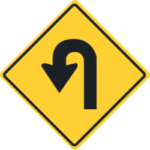 Pro-social bystanders are people who can find safe ways to act when they see harmful behaviors and attitudes. Cultural change starts with you! 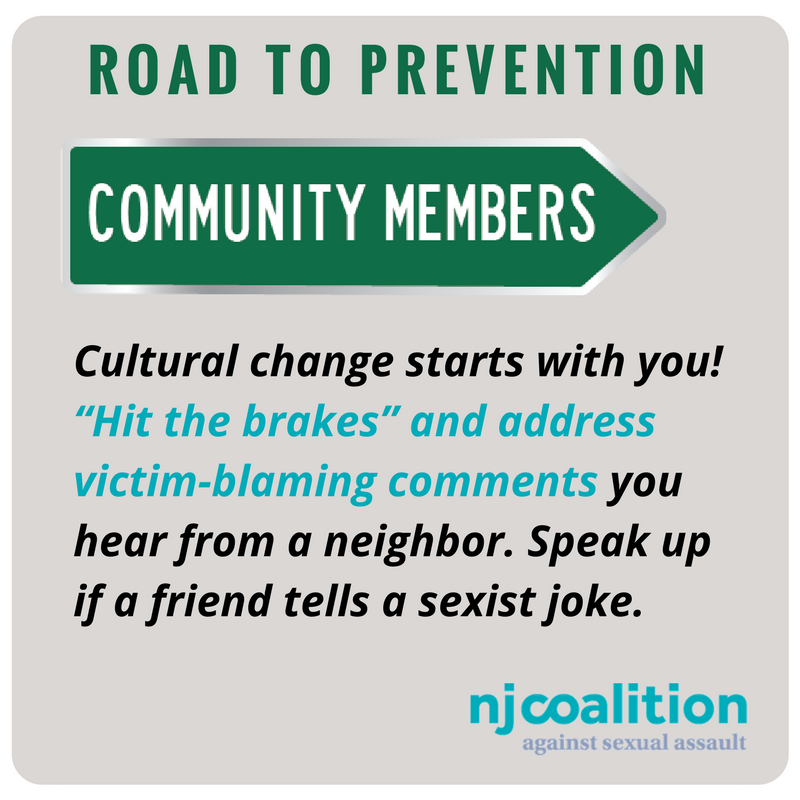 “Hit the brakes” and address victim-blaming comments you hear from a neighbor. Speak up if a friend tells a sexist joke. Your words are powerful and can convey a sense of support should a community member disclose that they are a survivor of sexual violence. Responses like, “I believe you,” or ‘You do not deserve for this to happen to you,” or “I applaud you for your courage,” are affirming and convey to the person that you support them. 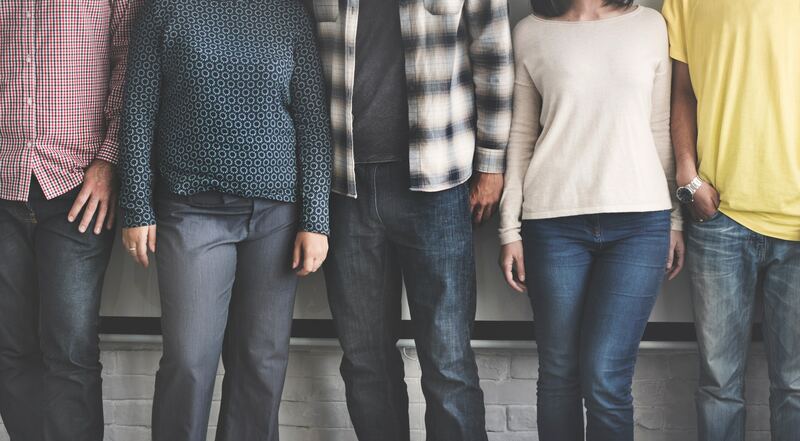 Invite local sexual violence service organizations to provide training that can share strategies to contribute to positive norms through bystander intervention. Display prevention messages that show community norms of respect for everyone or show what consent looks like or identify what a community member can do if they see something abusive in your common community areas. 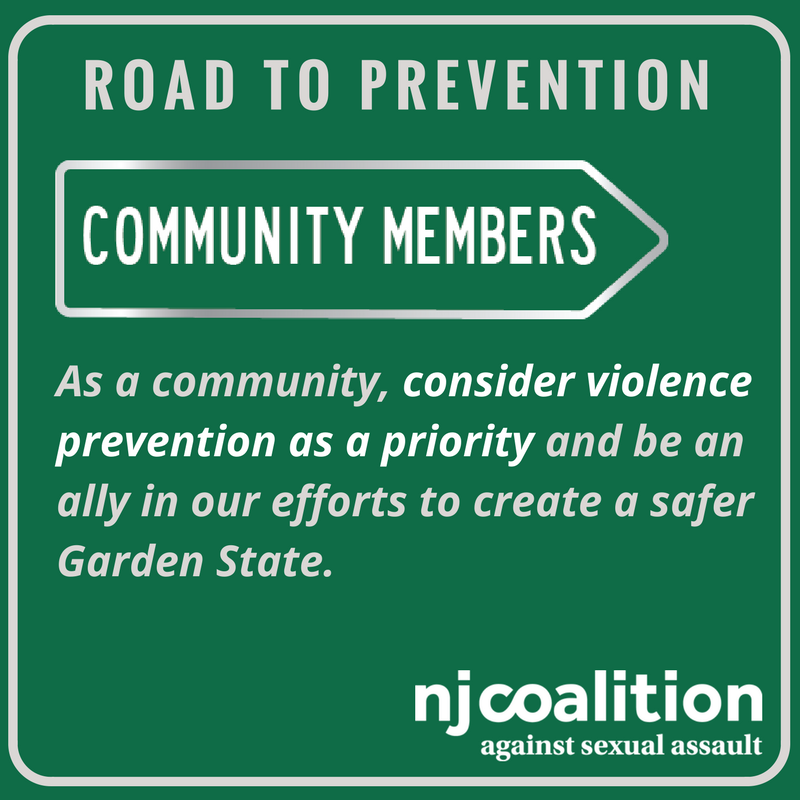 As a community, consider violence prevention as a priority and be an ally in our efforts to create a safer Garden State. This publication was made possible via a grant from the New Jersey Department of Children and Families’ Division on Women. Its contents are solely the responsibility of the authors and do not necessarily represent the official views of the Department of Children and Families’ Vision on Women.